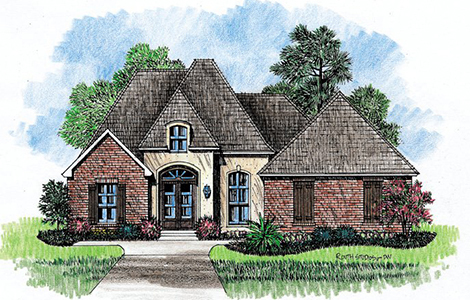 Classic styled Country French home plan, the Laguna is a house plan we hope you will enjoy. The Family room at the center of the home has a large fireplace and is open to both the breakfast area and kitchen. Entering the kitchen you will see it has a great layout for the chef of the house to enjoy. There is a large angled island with the kitchen sink a corner pantry and plenty of counter space for preparing your next feast. 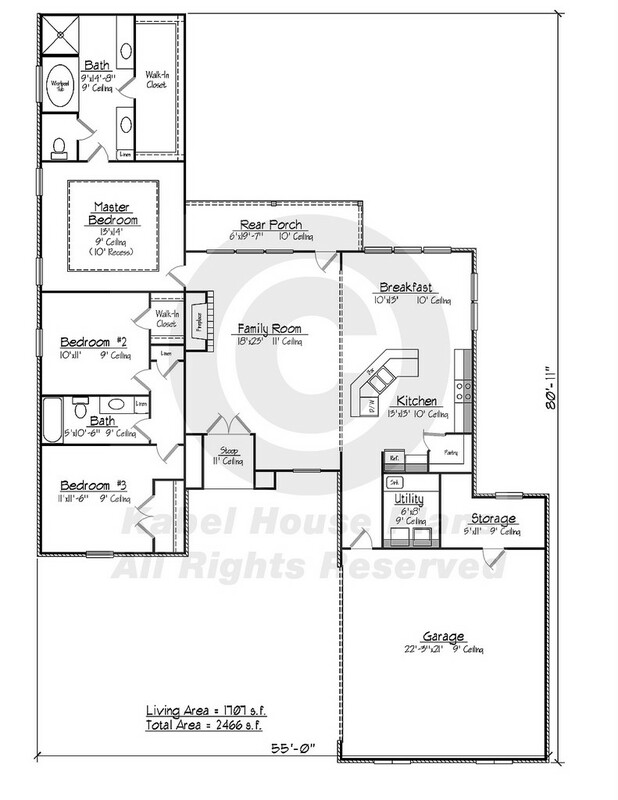 The master suite is located at the left rear of the home plan with a recessed ceiling and generous walk in closet it is a room you will not want to leave. You will also find a j-driveway configured 2 car garage and large enclosed storage area. French Country house plans make great homes and if you need any modifications to this or any other plan don�t hesitate to ask us.